Time sure flies fast, can't believe it's almost the end of summer already, gotta make sure to make the best of it. 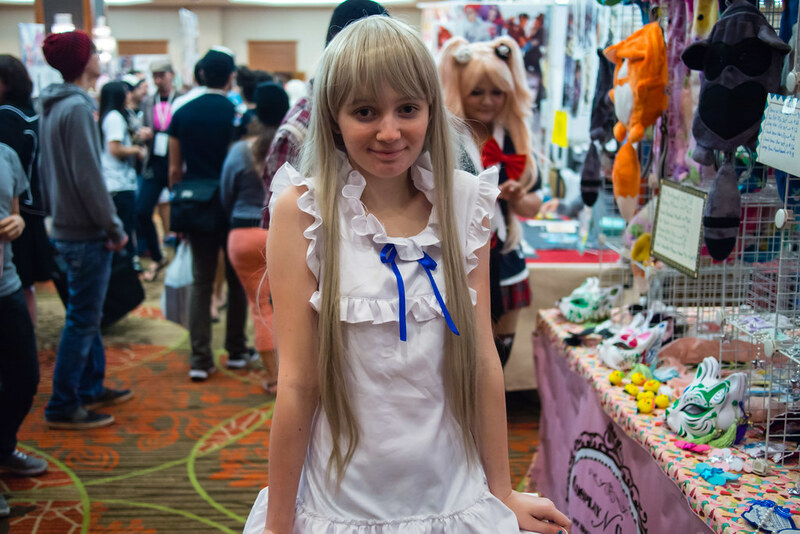 I sure have been by dropping by a local con AnimeFest, this past Saturday. I'm not really much of a con goer. 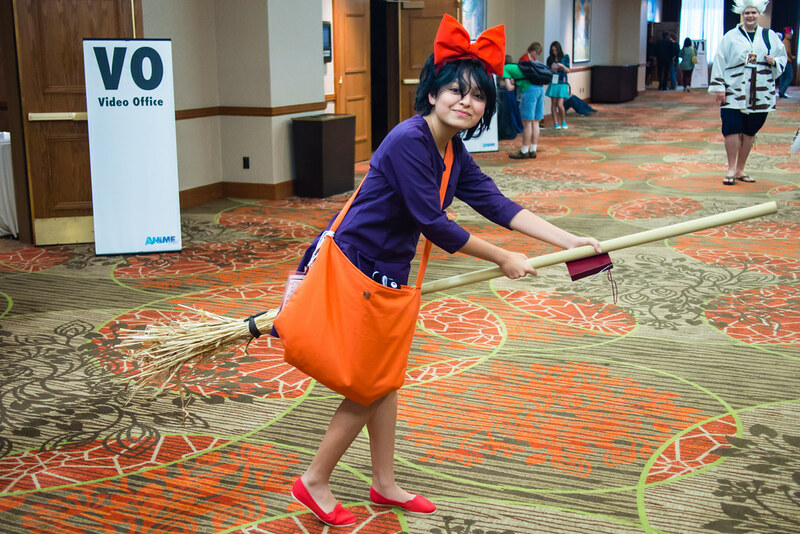 Mostly because there really wasn't all that many cons where I lived and never really tried to go to the bigger cons. Except for Otakon, twice I was planning on going but abrupt changes in my financial situation prevented me. May be next year, may be... right Chag, HamsterCorp? I'm not a fan of large crowds, so I usually skip out on big cons or events to begin with. AnimeFest though, was what I would call cozy, the con brings in a few thousand people over its duration so it's not super small but it's not seas of people either. There was a great crowd of attendees, vendors, artists, and guests at just the right size for me. AnimeFest also brings in some nice big names like FLOW, who apparently had their first overseas concert at this con a few year's back. As well as interesting guests from the animation industry such as the staff from Space Dandy or Gundam Unicorn's director Kazuhiro Furuhashi. 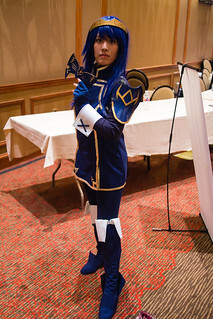 Speaking of Kazuhiro Furuhashi, I'm sad I did not go to the con on the day he did autographs. I would have loved for him to sign my AGP Gundam Unicorn MS Girl. 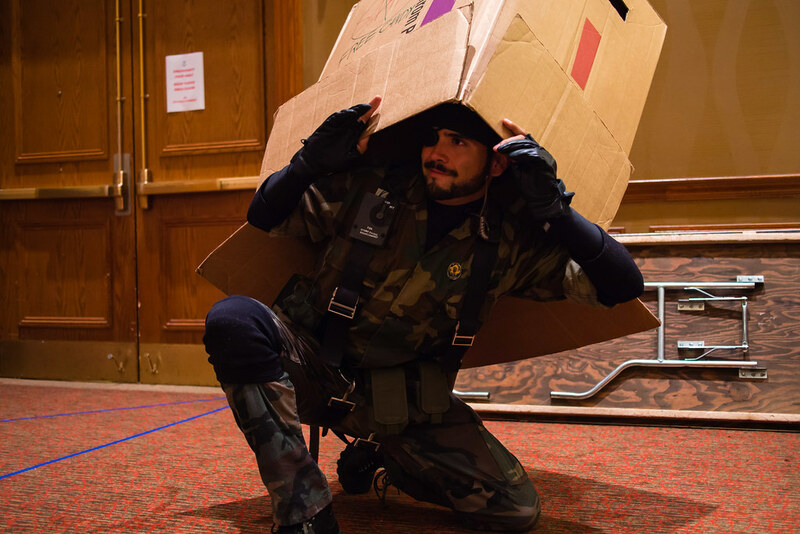 The con was great for me, even if I was only able to go on one day. 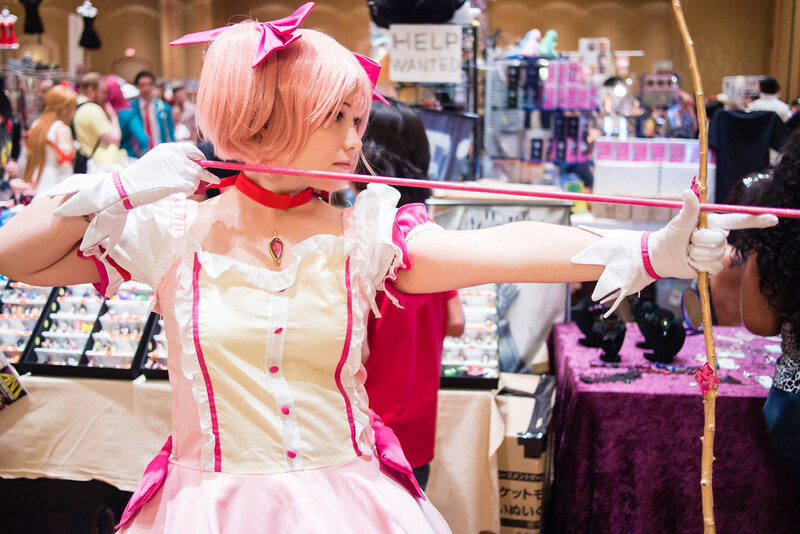 I was able to spend a few hours taking photos of all the nice cosplays on and about the con, got to go a panel and watch some nice shows, check out the vendors and artists. 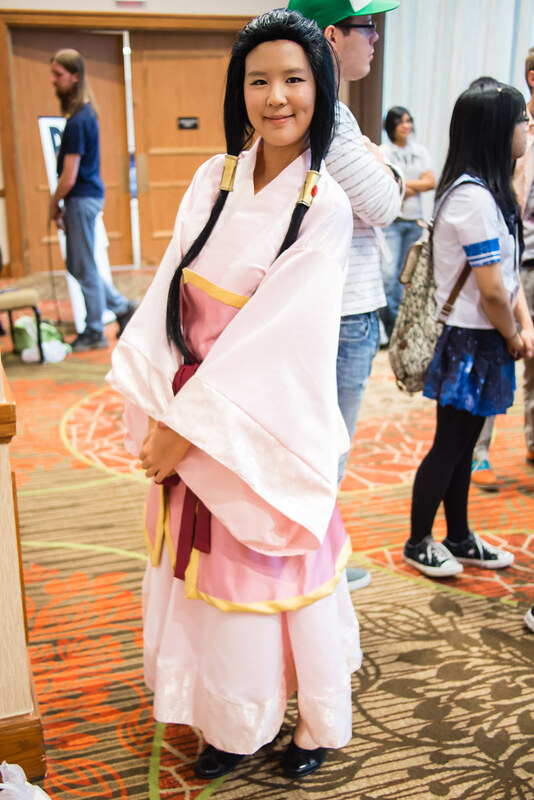 I was so impressed by the variety of characters being cosplayed. 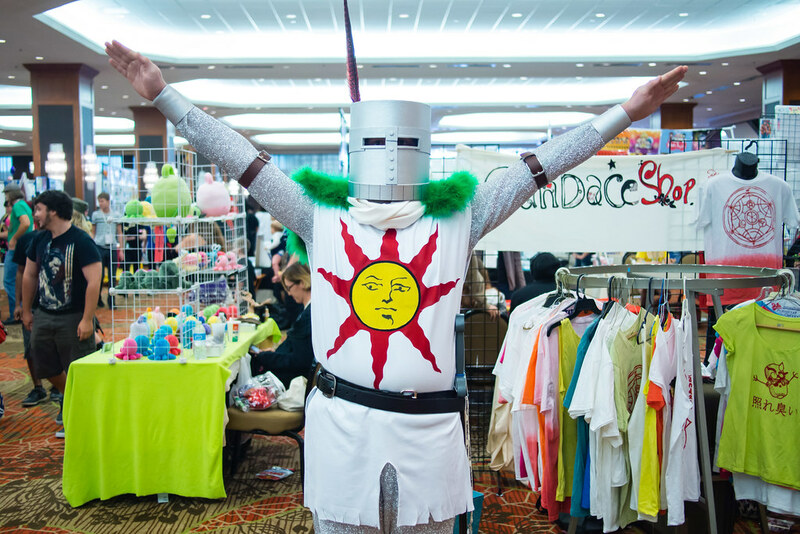 Not only were there cute cosplays like the above pictured Kobato and Menma but there was a nice slew of more unusual picks like Athena from Ace Attorney or good ol' Sunbro Solaire. 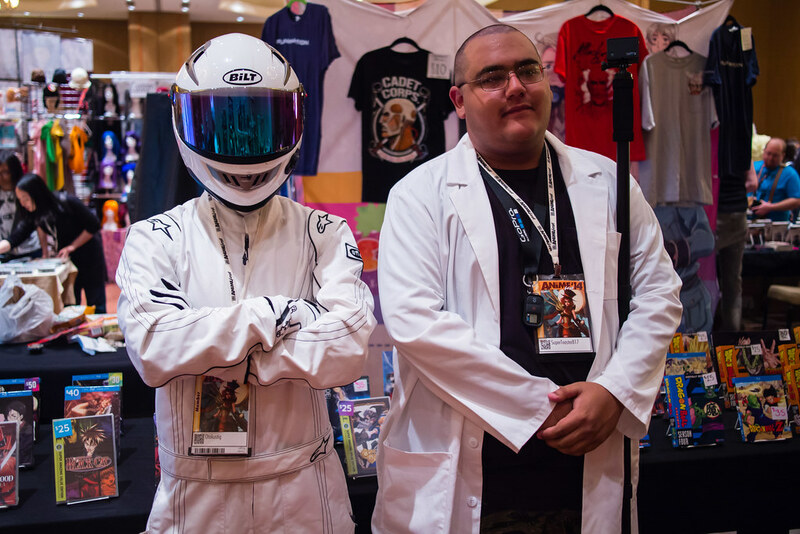 My favorite of the day really has to be the The Stig and Producer combo from Top Gear. The Stig got carted in through the door in a loading cart in true Top Gear fashion, so good. 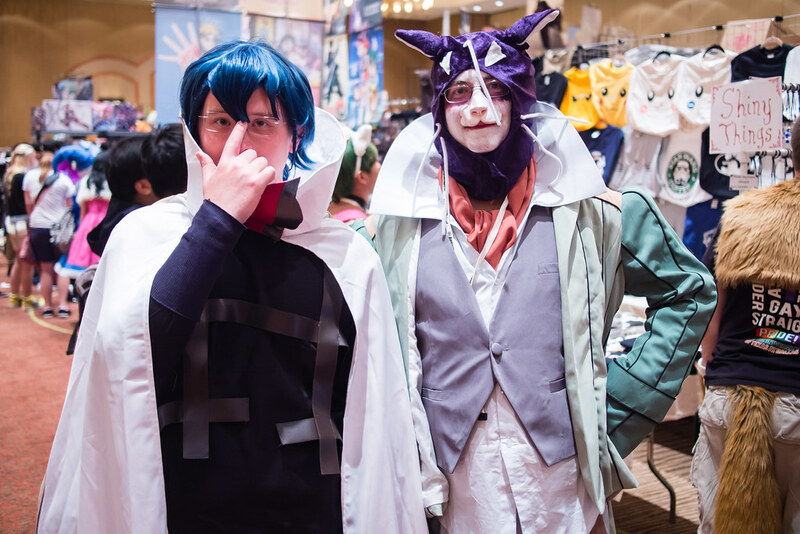 My prize for most surprising cosplay of the day goes to these two fellows who did Shiroe and the Chief from Log Horizon. This show is now my favorite stuck in an MMO show and I'm looking forward to the upcoming second season later this year. I was so happy how all these guys and gals were good sports about getting photos taken and I was able to finally put my Panasonic 20mm lens through the paces. Just do remember kids, don't forget to ask first and always be mindful if they are occupied with something else. 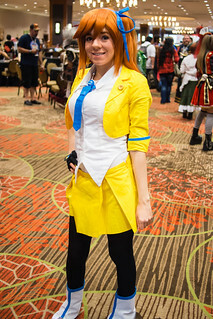 I took a few more photos and you can check them out on my flickr album for AnimeFest. The biggest reason I attended this con was to meet the lovely Stereometric who reached out to me and invited me to check out the con and her panel on figure collecting. She has made her presentation available online if you want to check it out. If you are a veteran like me it's nothing new but for people who know nothing about it and want to buy their first figure it was a good panel to attend. It's always great meeting fellow figure collectors in person something I wish I could do more of. This would be the second time I meet another collector after meeting Chag from HobbyHovel a few years back. If you happen to be on the DFW area, let's hangout alright? As far as goodies I only bought these two pieces. 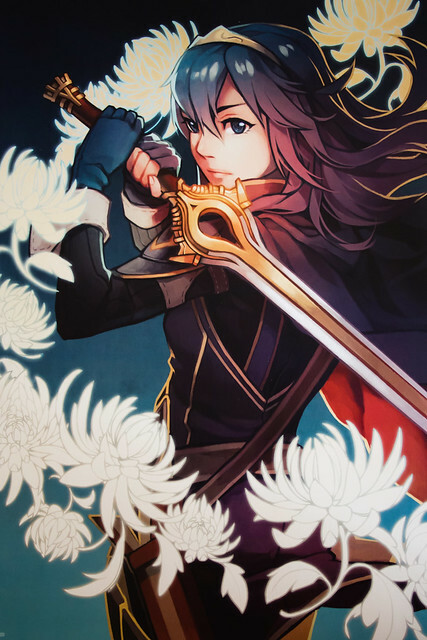 On the left there is this super cool Lucina poster from Fire Emblem Awakening by artist Finni Chang. He had a lot of nice illustrations and you can buy them online as well so check him out. 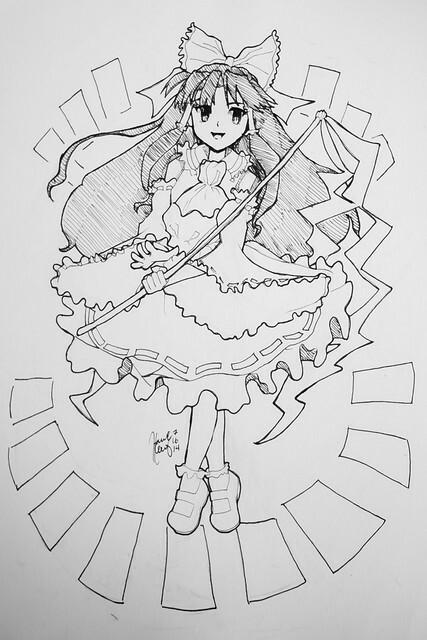 On the right we have this hand drawn and inked Reimu that I commissioned from the super nice Hannah Chung from Pineapplebananacurry Studio. She made this for me on the floor, it feels great to have a one of a kind illustration of my favorite Reimu. 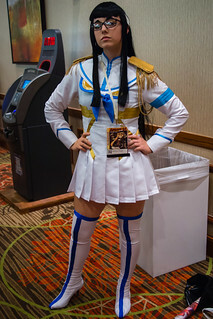 Overall I had a great time at AnimeFest 2014, I will probably go back next year and plan to attend on more days if I'm still living in the area. I do hope I will less socially inept and actually have someone to go with next time though.